2. Choose File from the toolbar at the top of the screen. 3. Switch to Options on the sidebar. 4. 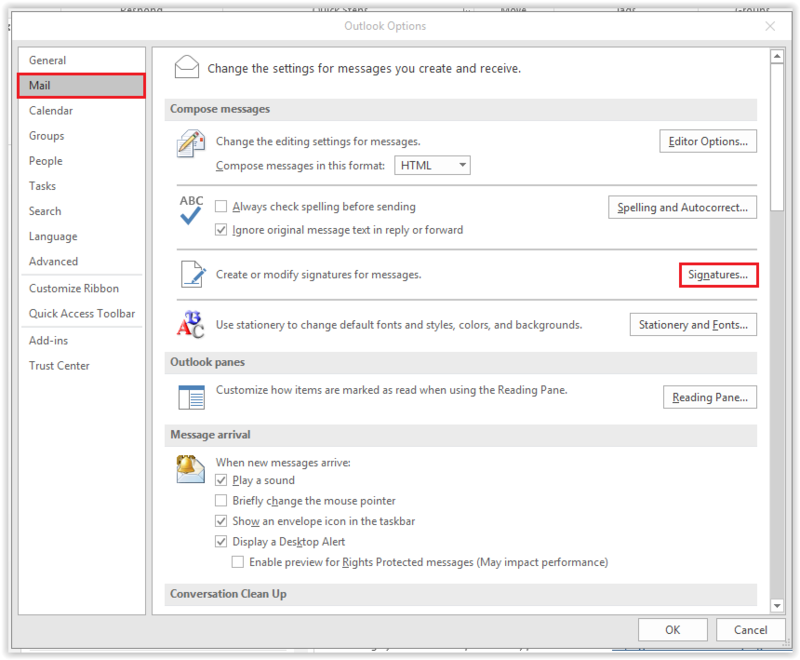 A window for Outlook Options should appear. Click Mail | Signatures. 5. 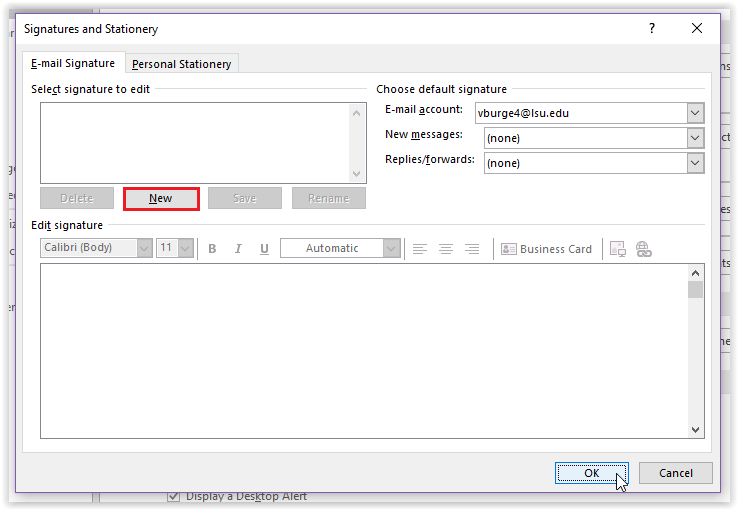 In the Signatures window, click the New button. 6. 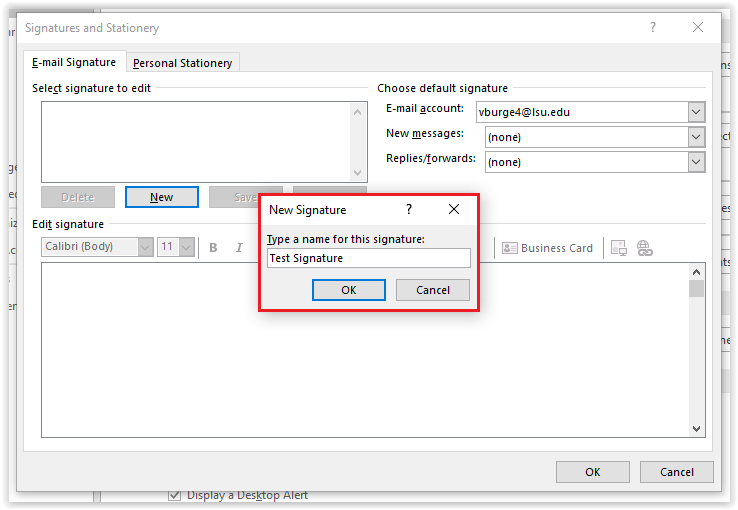 In the new dialog box, enter a Name for your signature. 7. 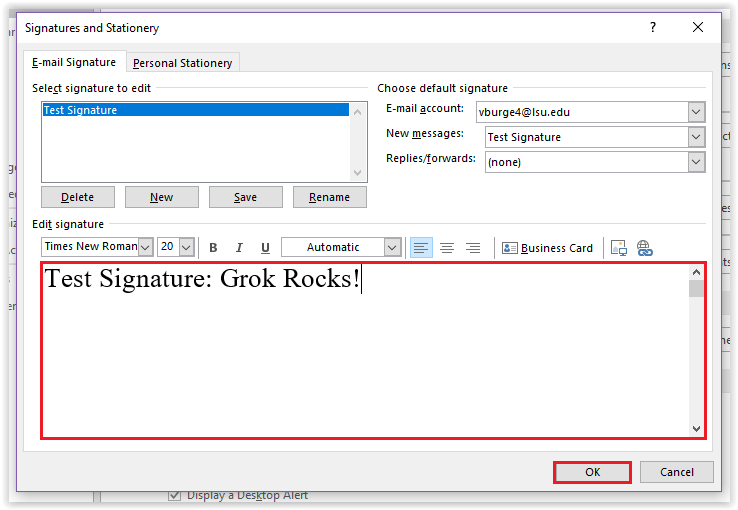 Next, type your desired Signature and press OK to save. 8. 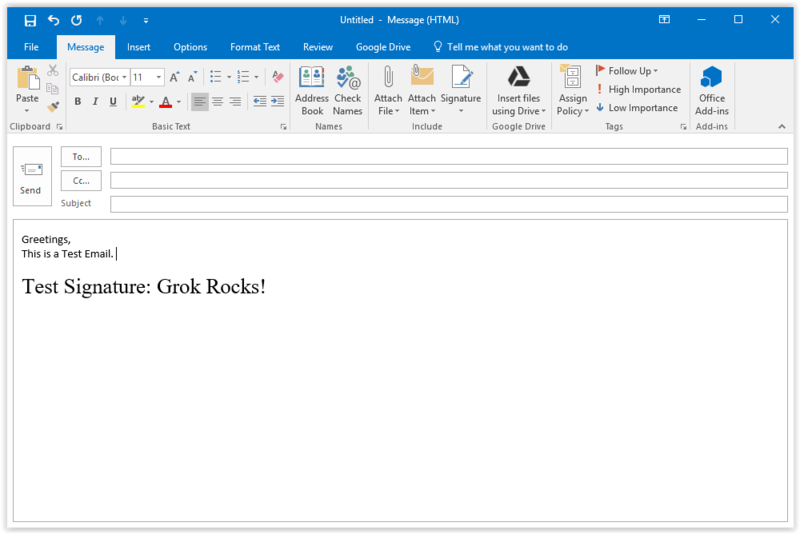 The new signature should now appear in all new outgoing emails.